Adding network of 276 doctors from N.Y., N.J., Conn.
Boston Children’s Hospital plans to acquire Children’s and Women’s Physicians of Westchester LLP, its first acquisition outside Massachusetts. Boston Children’s Hospital is extending its reach to patients far outside Boston, with a deal to acquire a large and growing group of doctors in New York, New Jersey, and Connecticut. The nonprofit hospital plans to complete the acquisition of Children’s and Women’s Physicians of Westchester LLP, a for-profit group of 276 doctors, this summer. Terms were not disclosed. The hospital already treats many patients from other states and countries, but this is its first acquisition outside Massachusetts. The deal will add thousands of patients to the Children’s network and advance the hospital’s out-of-state expansion strategy; last year Children’s earnings rose on increased business from international patients. The addition of hundreds of doctors and thousands of patients is not expected to have any direct impact on patients from the Boston area — other than perhaps strengthening the hospital’s finances by providing a new source of revenue and more referrals. Children’s is the dominant pediatric hospital in Massachusetts and New England. It is one of the highest-cost providers in the state, but known for treating the sickest and smallest of patients. The idea, said Dr. Kevin Churchwell, the chief operating officer at Children’s, is to create a pediatric health care network across the Northeast in which doctors coordinate care online and through electronic health records. Because Children’s is acquiring a company based outside of Massachusetts, it was not immediately clear whether the deal would be reviewed by the Health Policy Commission, a state agency that studies health care mergers and acquisitions. A hospital spokesman said a review is not necessary, but a commission spokesman said the commission is requesting more information from Children’s before making such a determination. The Westchester practice is spread across 57 locations in New York, New Jersey, and Connecticut. Dr. Leonard Newman, president of the Valhalla, N.Y.-based doctors group, said that despite its reach across three states, the group needs to be part of a larger system. The group has grown every year since it was formed in 2000, and Newman said it is likely to attract even more doctors after joining the Children’s Hospital network. Children’s is unlike most acute-care hospitals because its competition is not just local institutions, but also pediatric centers around the world. The hospital’s move into New York and New Jersey puts it in the back yard of another premier pediatric hospital, Children’s Hospital of Philadelphia. “Parents are willing to travel when it’s their children’s health in question,” said Robert S. Huckman, a Harvard Business School professor. 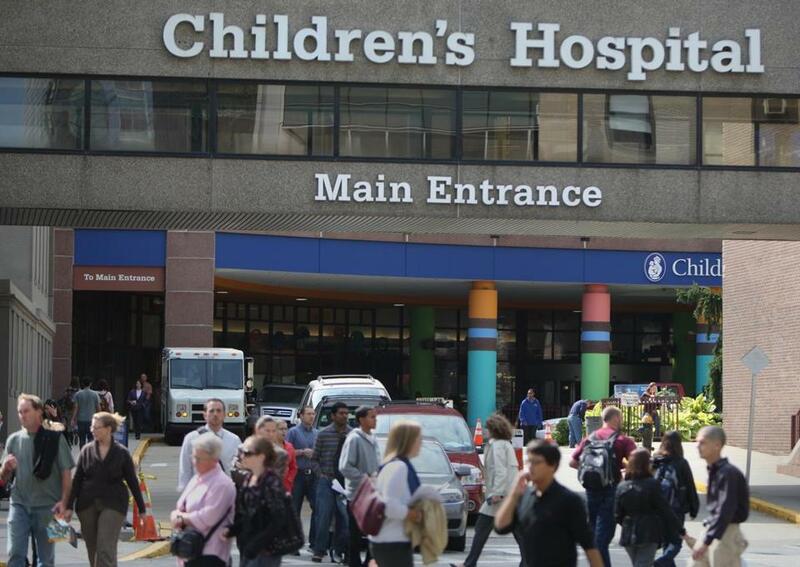 Executives at Boston Children’s and the Westchester group said that the merger will allow for better coordination of care for the many New York- area patients who already see doctors at Children’s. The deal also has the potential to improve care for other patients in the tri-state area by giving them better access to pediatric specialists, executives said. The distance between the two health care organizations will not get in the way of coordinating care, they added. Children’s has about 1,300 physicians. It had more than 551,000 patient visits and discharged more than 24,000 patients from its hospital during the fiscal year that ended Sept. 30. It earned $113 million on operations in that year, a 28 percent increase from the previous year. The jump in profits was driven by a surge in patients from outside of Massachusetts, especially from the Middle East, Asia, and Latin America. Robert Mechanic, a health care specialist at Brandeis University, called the acquisition a smart strategic move for Children’s.